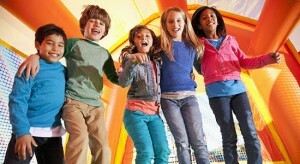 Renting a bounce house from Fun Makers is easy! We offer free online quotes with real time availability. Or call us at 330 943-0365. 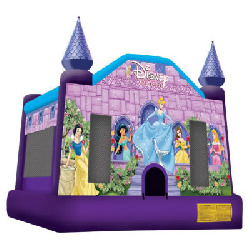 Bounce House Rentals! 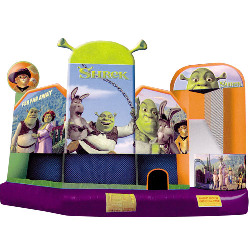 Nothing says a party like a bouncy castle! 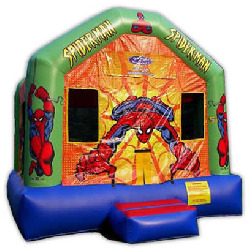 Our standard large bounce house rentals are 15′ x 15′ for up to 10 kids or 5 adults. 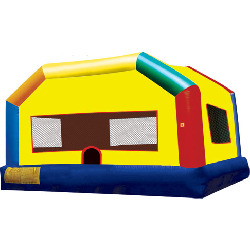 Back in 1962, Bounce Houses were the first type of inflatables that were invented. 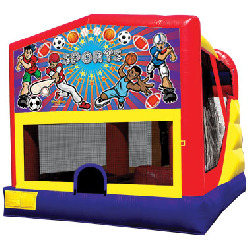 Since then, they’ve been called many names, such as Spacewalks, Bounce Houses, Moonwalks, Jumpers, Bouncies, and more. 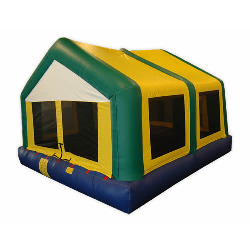 In Ohio, they are most commonly referred to as Bounce Houses. 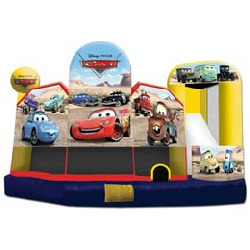 Whatever you call them, kids love them, and Fun Makers loves to rent them. 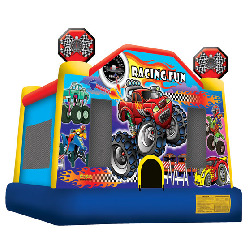 Bounce House Themed - Click to learn more! 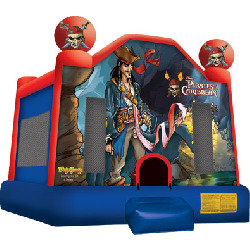 Bounce House Themed Combo - Click to learn more! 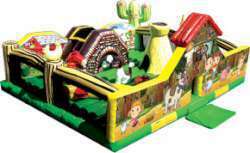 Fun Bounce/Slide Combo - Click to learn more! 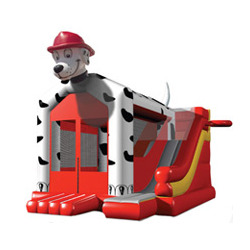 Bounce House - Open Top - Click to learn more! 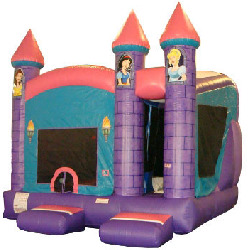 Princess Bounce/Slide Combo - Click to learn more! 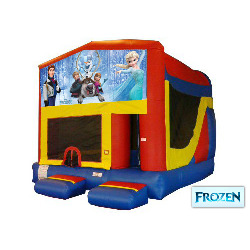 We only rent commercial grade bounce houses. 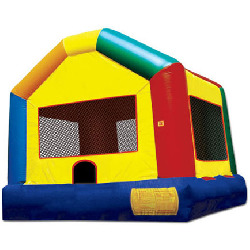 Additionally, our Bounce Houses are always clean and in fantastic condition. 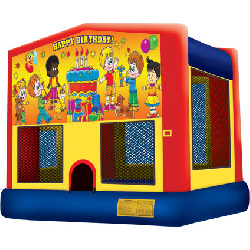 Rent one of our Bounce Houses for your next birthday party or event rental! 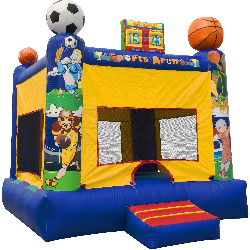 There are a few things that you have to remember when renting Bounce Houses, Jumpers, and Moonwalks. 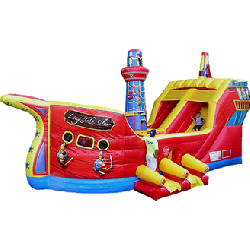 Because these are some of the most popular inflatable rentals, you generally have many places in Ohio that you can rent Bounce Houses from. 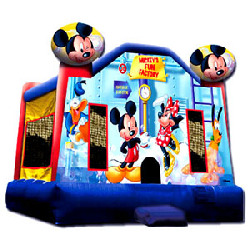 However, it is important that you rent from a state licensed and insured company like Fun Makers. It isn’t because licensing and insurance make a better company. 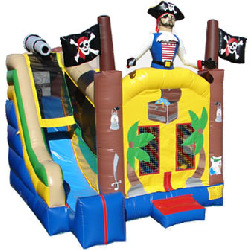 It’s because the best companies like Fun Makers follow all the rules so that your guests and children are as safe as possible and have the most amount of fun possible.